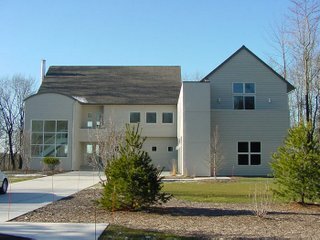 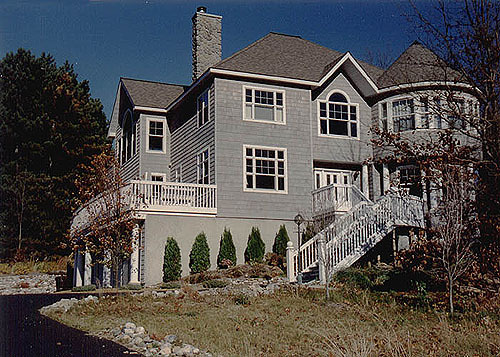 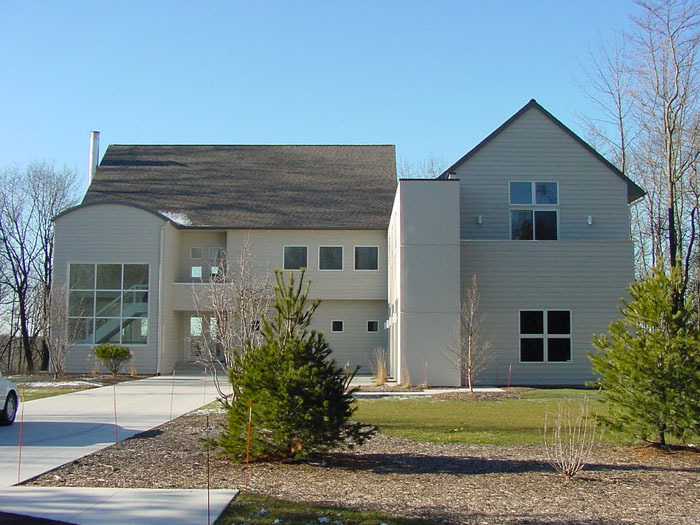 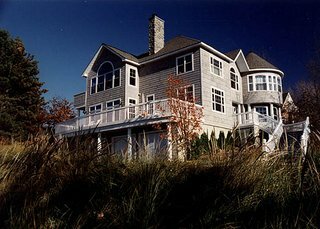 This Cape Cod style house was built in the dunes along Lake Michigan. 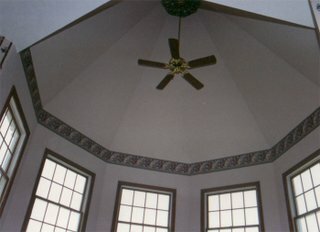 A unique feature of this house is the round room with commanding views of Lake Michigan. 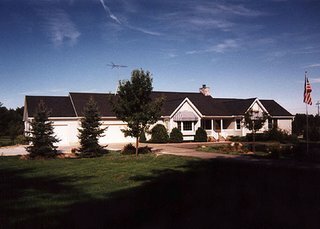 This ranch style house has grown over the years. 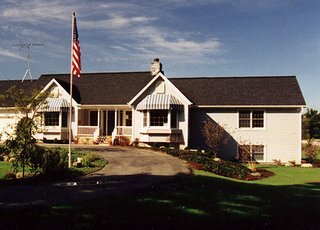 The original owners contracted DeFrell Builders to build the house and improve the small hobby farm the house was located on. Years later the home was sold and the new owners needed more room for a larger family. 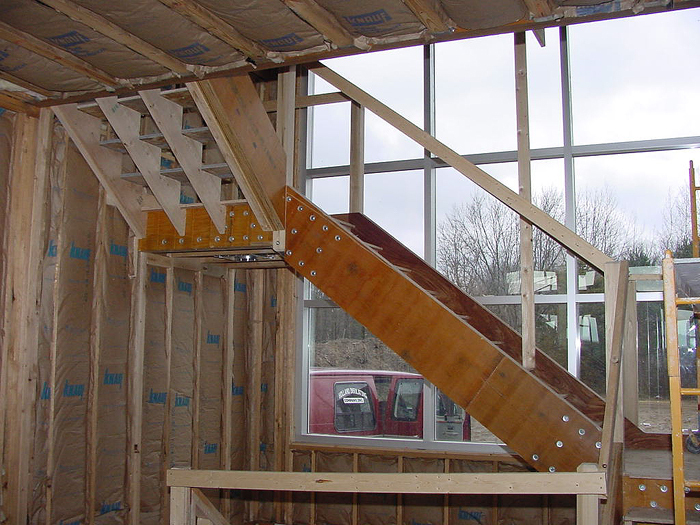 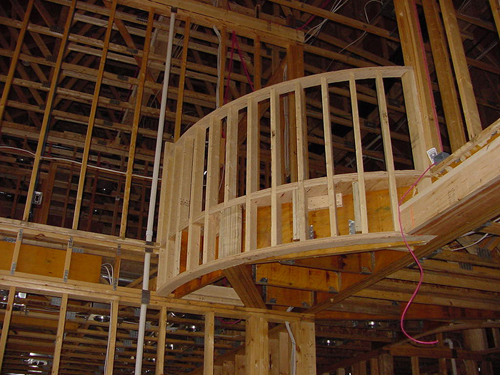 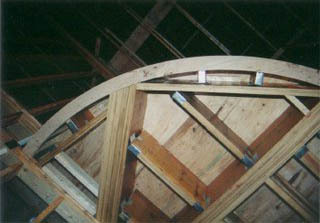 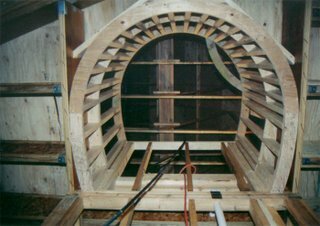 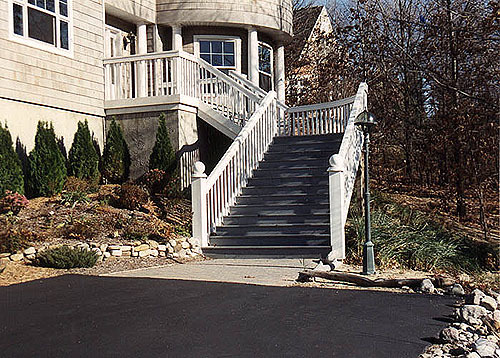 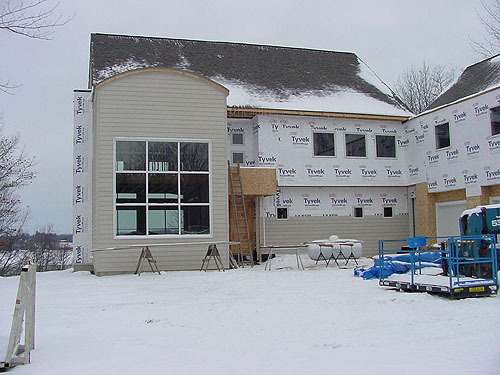 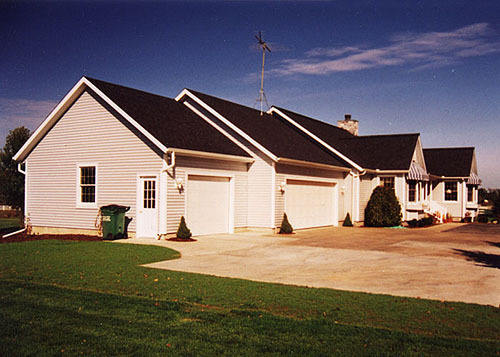 They wanted the same quality for additions to the house and contacted DeFrell Builders to see what could be done. 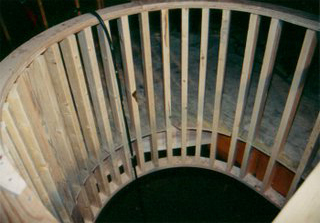 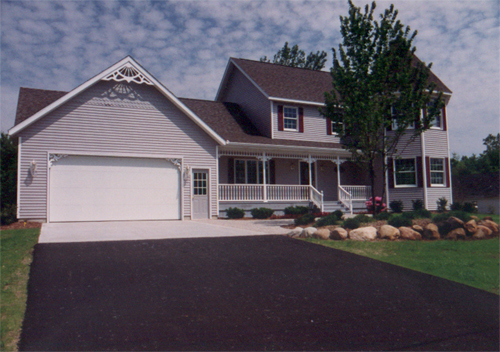 At that same time a third stall was added to the garage, two bedrooms, a bath and a large playroom for the children. 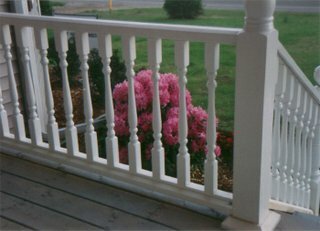 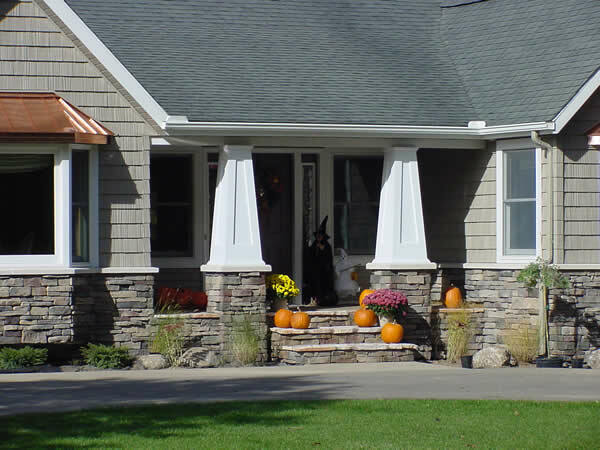 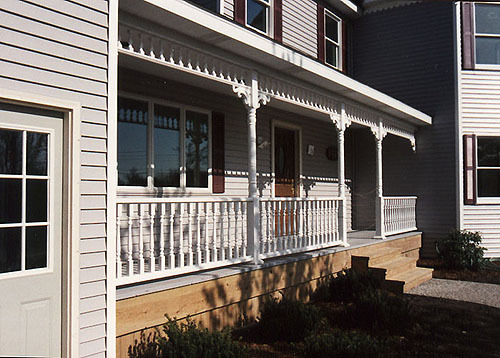 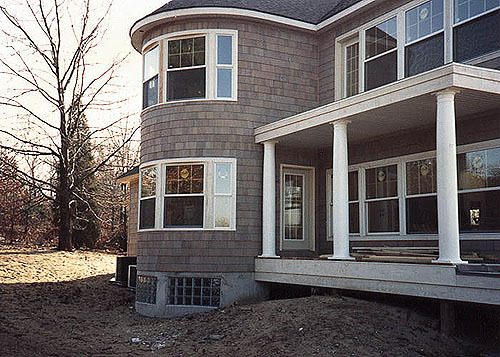 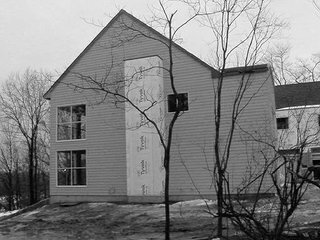 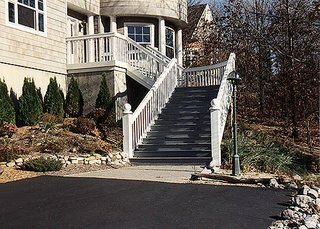 In the year 2005 the existing siding was removed, a stone front was added with porch piers, new siding, and replaced fascia and soffets. 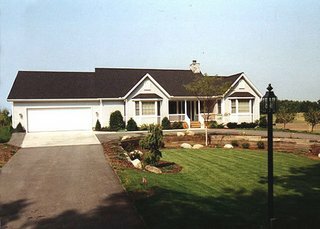 Not pictured: On the back of the home a bathroom was expanded and a separate pool house was constructed adjacent to the pool. 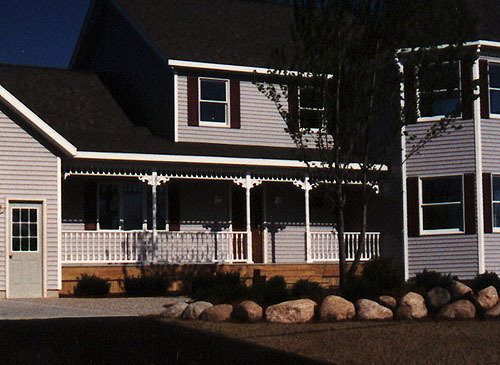 This four bedroom traditional design is reflective of its rural surroundings all the way down to its porch rails and trim. 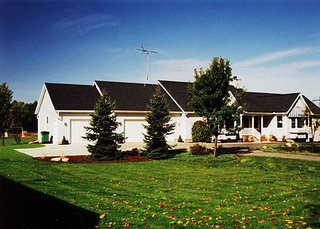 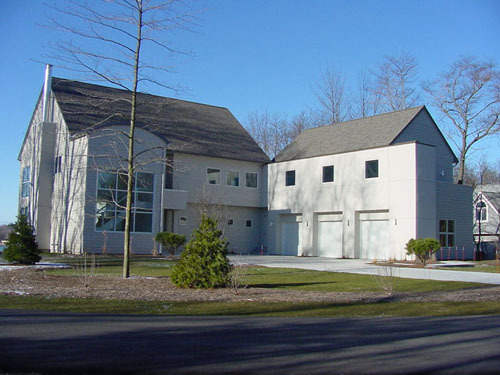 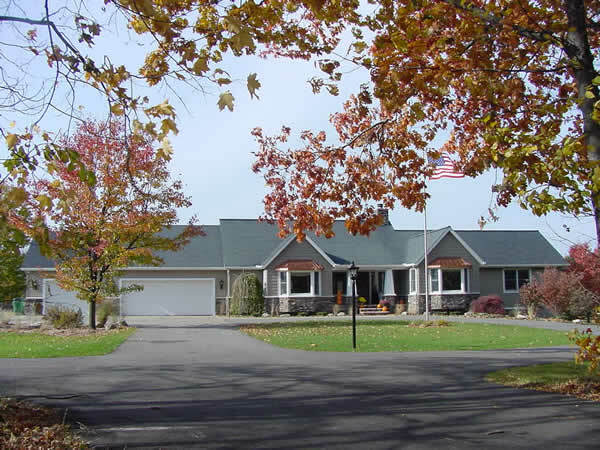 This spacious 4 bedroom, 3 ½ bath home overlooks the Kalamazoo river. 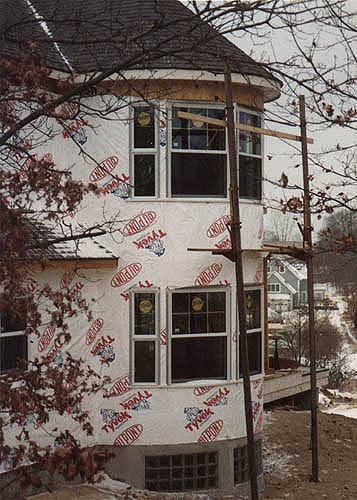 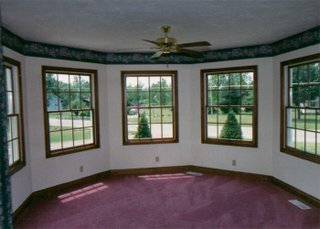 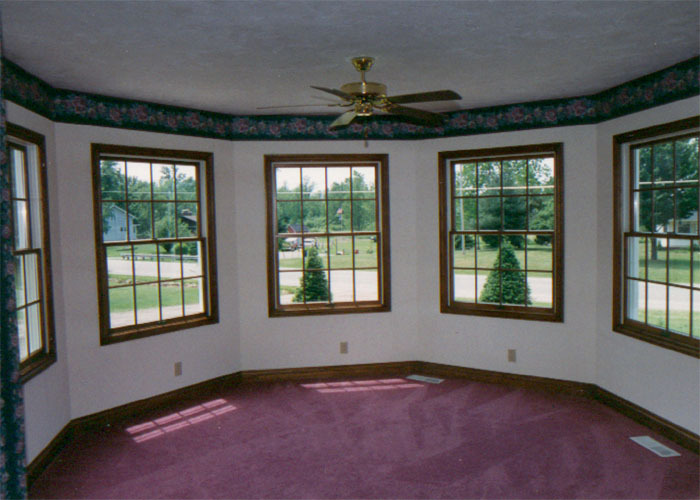 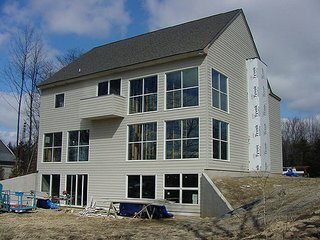 The use of commercial grade windows and thick wall details presented unique challenges, and opportunities. 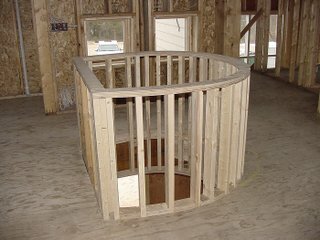 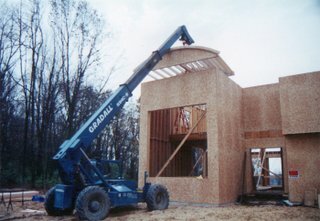 This home required unique framing. 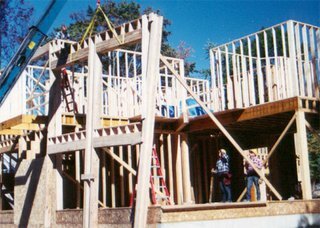 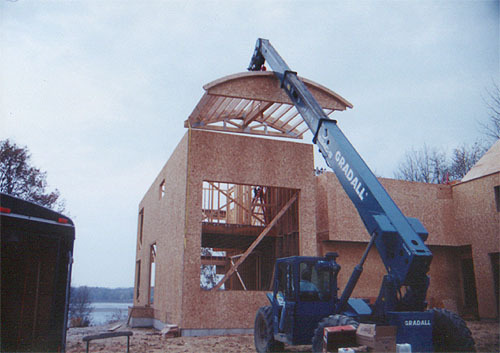 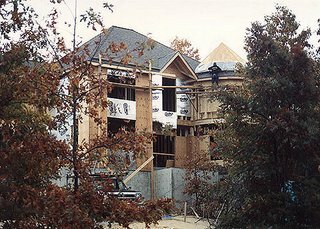 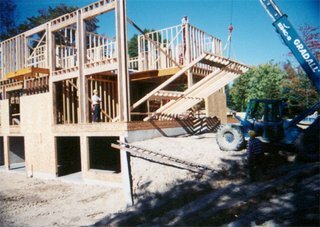 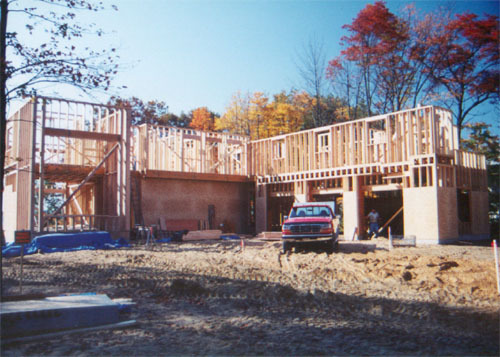 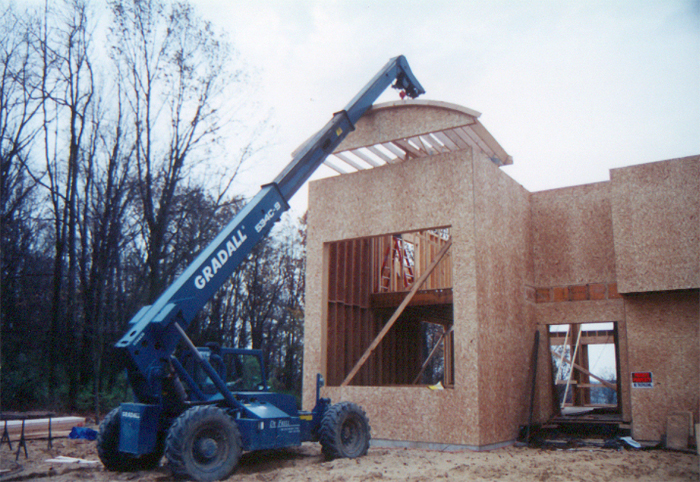 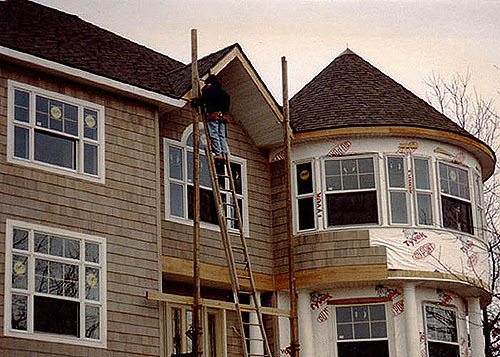 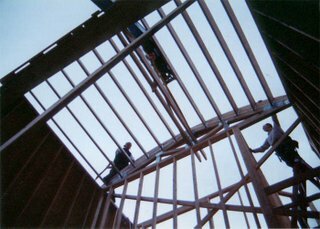 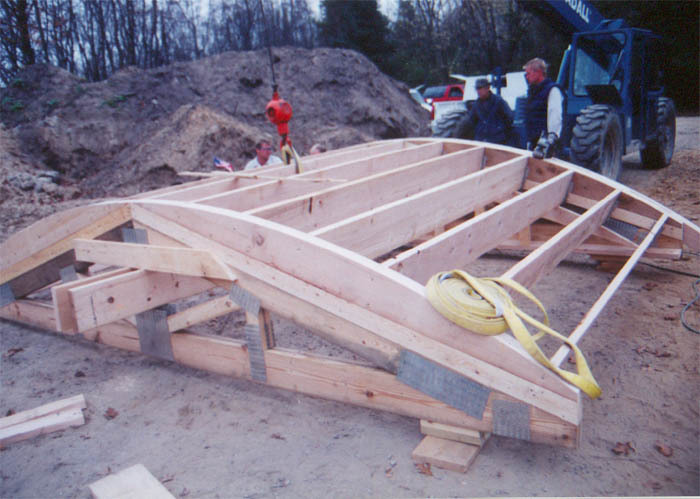 Many new homes today require special framing to provide impacting views. © Copyright 2015 DeFrell Builders, Inc.
Website designed by Spectrum Net Designs, Inc.